Here’s to Jean-Michel Basquiat; a rare example of how an 80s graffiti-based and counter-cultural practice could become a fully recognized and critically embraced artistic phenomenon. 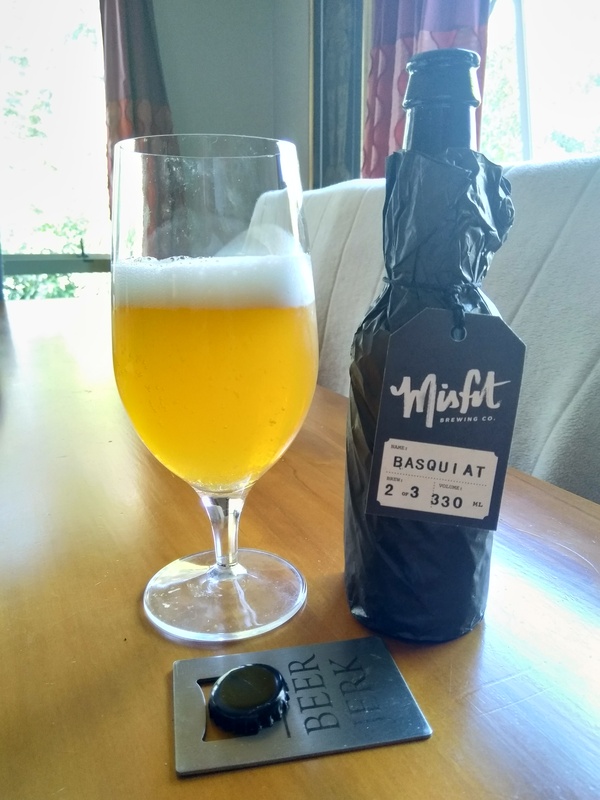 The punchy tropical and citrus fruit notes, paired against a nice toasty character, makes this NZ IPA our homage to the subtle complexities of his work. The aroma is very tangerine initially, which settles into a duller bready yeast note. Super pale for an IPA, and this looks unfiltered and I’m not sure if that is intentional or not. There is a nice white head on this, and you know I’m a fan of heads on beers as if it imparts some kind of goodness about them. The aroma in the glass is a somewhat muddled affair of neither one thing or another, but edging towards a bready wet note. It could be quite bitter, but there is a an over carbonation that unsettles that and you instead get a mouth full of small bubbles that mute any flavour that might be trying to shine, you get a faux bitterness from this effect. There’s not a lot of carry in this and it’s a bit peaky and one trick at the beginning. There is though a pleasing and interesting lingering note at the back of this that sparks the tongue up a bit. But it really isn’t that outstanding and no amount of references to a niche artist is going to make it better. It’s ok but it isn’t going to get legs and gallop into the top 10 of beers at any point, as it warms that bitterness begins to stand on it’s own, but that bready aroma stays to haunt. This is nice but it’s not polished or in some way quite finished. The pdubyah-o-meter rates this as 7 of its things from the thing. It’s ok for a bitter, a very pale pour but looks lovely with a bright white head. Over carbonation mutes any bitterness and even as it warms it struggles to assert itself. 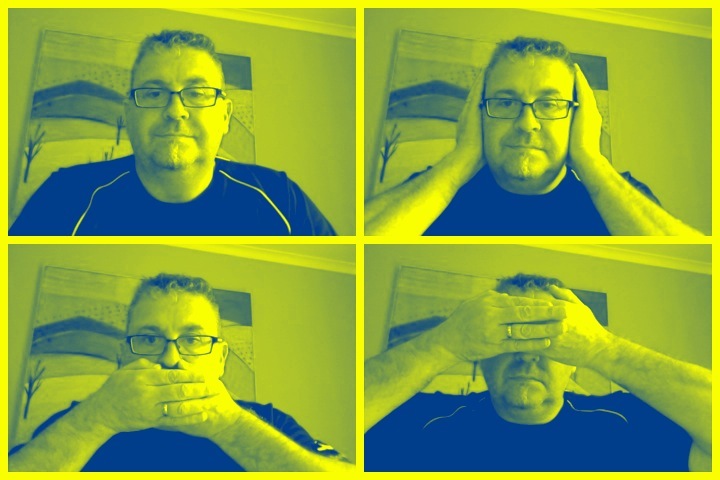 Music for this: ” Don’t Feed The Pop Monster by Broods On Spotify of course. 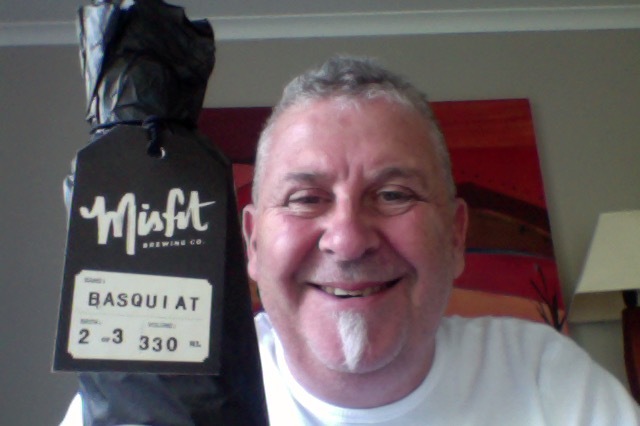 This entry was posted on February 6, 2019 by Philip Walter in Beer, Beer of New Zealand, Beer Review, Brewed By, Craft Beer, Critic, India Pale Ale (IPA), Misfit Brewing and tagged Misfit Brewing, Misfit Brewing Basquiat.